Paul Weller At 60 – music waffle. 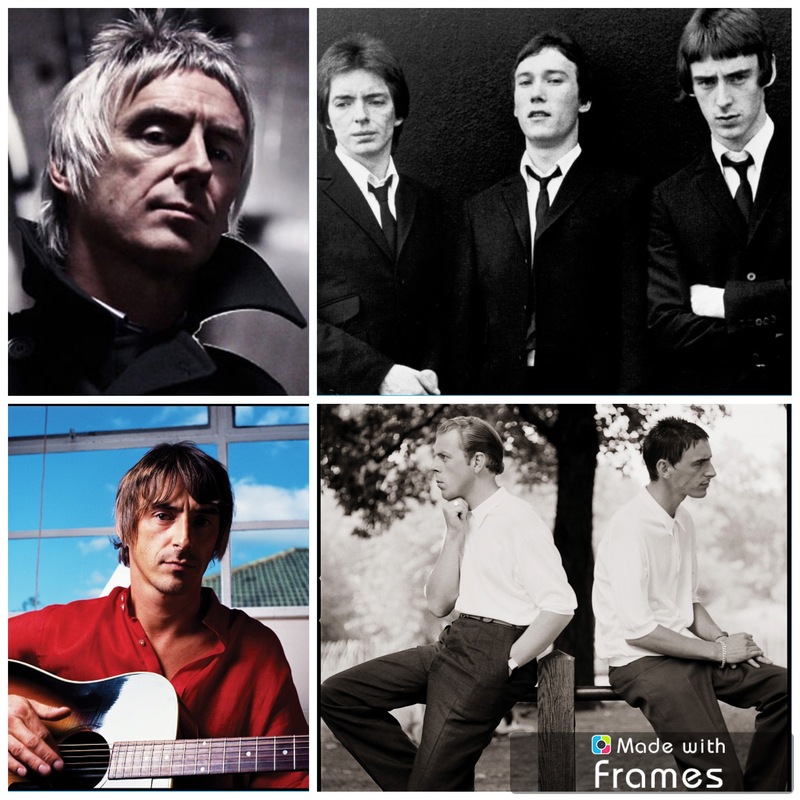 One of the most influential and productive artists of the last 40 years, how could I put into words everything that Paul Weller has given to music and to the soundtrack of my life as a music lover? He always been there in one guise or other, knocking out one solid gold song after another, shape shifting between genres and variations but always delivering passion and quality in a way few artists can dream of. I decided to limit myself to two (ONLY TWO *screams*) songs from each of his three phases: The Jam, The Style Council and as a solo artist, knowing I could never really get my choices right, but trying to capture a flavour of why he’s a musical hero. When The Jam came on the scene, they were competing with a plethora of Punk, Mod and New Wave artists, but what stood out was what a clever lyricist Weller was. Rhyming “smiling” with “beguiling” and saying that you “put in the money and pull out a plum” seemed awfully clever to my impressionable young mind, and who writes songs about curry anyway? Towards the end of the song, the sped up motormouth delivery perfectly reflects the panic of being mugged. In truth it took me a long while to feel comfortable on the London Underground after that – the song worked better than any public information film about the dangers of having your purse snatched. Yes I know the guitar riff sounds like Taxman (The Beatles are the very best of influences after all) but this is an exquisite nugget of sheer joy. I love the contrasting vocals of Weller and Foxton, and the stabbing guitar twangs. “Loves with a passion called hate” is such a great line, and clocking in at just over two minutes, Weller is making it look ridiculously easy at this point in his career to write Number One singles. Formed with Mick Talbot (formerly of Dexy’s Midnight Runners) this new project had a much more soulful and harmonic sound, and a far more playful outlook. The Jam were a *seriously* po faced and stern set up, but as the backdrop of punk faded to the outrageous sights of the New Romantics, Weller felt the need to change his direction and this really couldn’t have been more different. The political leanings remained though, as this perfect pop creation disguises a song about Nuclear War, “The hush before the silence, the winds after the blast.” One of those impossible to dislike songs that artists dream of writing. Still my favourite Summer tune, this has a perfectly chilled tempo and exquisite harmonies. The languidity flows and you can just close your eyes and feel the sun on your skin when you listen to it. There’s some “writhing” in this video that makes me think that whilst Paul is handsome in a moody kind of way when he’s not trying, he really should leave any attempts at sexiness alone! Incidentally the Summer Of 1983 was one of the hottest on record – proof that Weller is also a meteorological maestro who can seemingly affect the weather. Showing another side of Weller, this is a stripped back song with acoustic guitar that shows his vocal talent and tenderness. I find the phrasing interesting but the notes are frustratingly out of my range without several embarrassing key changes. “Golden rain will bring you riches,” is another gorgeous lyric and the superb ending of “You’re gonna find your way out of the wild wild wo-oo-oo-od” means it’s a song I love but actually can’t sing along to. “Narcissus in a puddle/Nemesis in a muddle” are great lyrics again and it is great to see a rock song with plenty of strut as Weller heads for middle age. Almost a throwback to Jam days, he’s never lost the ability to ruffle those feathers. Finally, one more indulgence. Last year I was lucky enough to get tickets to be in the audience of Later with Jools Holland. Imagine my delight when I found out that Weller was on the bill. Unfortunately I was shepherded to the opposite corner of the studio to Paul, but it was an absolute delight to see him perform Woo Se Mama by starting on the guitar then finishing the song playing keyboard. When the cameras stopped and the audience filed out, he was there to shake hands at the exit. I couldn’t help gazing longingly across the diagonal of the studio. I guess this article is my virtual version of a thank you and a handshake for all that The Modfather has given me. This is a great post! I loved Style Council, but was not all that familiar with Weller’s other projects. He’s got a huge back catalogue to explore, should you have the time. The Jam were an absolutely iconic British band in the late 70s/early 80s. And you cannot help but admire his longevity.